Enjoy a 7 night Luxury Retreat for 2 guests staying in a Superior Garden Villa at the stunning Mangosteen Ayurveda & Wellness Resort in Phuket, Thailand. Stay includes: welcome drink and fresh fruit on arrival and a complimentary 30 minute Spa Treatment for each guest that can be taken once per stay. Stay is valued at approximately $1,600 USD / £1,255 GBP*. Please note all additional purchases including further meals, drinks, spa treatments, excursions etc. must be paid for by the winner separately. Auction stay dates: to be booked in advance and taken before 15 December 2019, excluding stays between 15 December 2018 to 10 January 2019, subject to availability. Ideally located with most of Phuket’s “must see” attractions just around the corner, the privately owned and family run, adults-only, Mangosteen Ayurveda & Wellness Resort is a boutique resort with a truly personal touch. It’s the perfect place for honeymooners or romantic people wishing to avoid the crowds. The resort caters for adults only, making sure the peaceful atmosphere remains uninterrupted at all times. Guests enjoy an intimate and calm atmosphere set in amazing tropical gardens with beautifully appointed luxury villas. The resort features 50 villas, a world-class Ayurveda Spa and an authentic Thai Restaurant and Wine Cellar, all surrounded by lush green tropical gardens. The resort also offers a variety of classes for its guest to enjoy from Thai Cookery and Batik to Towel Folding and Diving courses. The winner and their guest will be staying in a beautiful Superior Garden Villa with high ceilings which includes a large double bed, designer furnishings, indoor bathroom with tropical outdoor shower and a private terrace with coffee table and hammock. Villa also includes: International cable TV, DVD Player, complimentary wireless broadband internet, complimentary daily drinking water, slippers, bathrobes, torch, umbrellas, coffee and tea maker, electronic safe and a paid for minibar. Luxury Travel Diary terms and conditions apply. *This auction item is valued at approximately $1,600 USD by Mangosteen Ayurveda & Wellness Resort, T. Rawai, Phuket, Thailand – please note this valuation is the list price provided to Luxury Travel Diary by the Auction Prize Provider and should be used as a guide only as cheaper discounted rates may be available. No cash alternative is available. 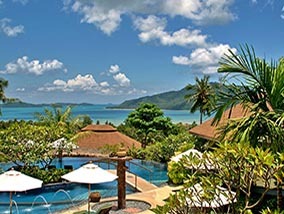 This auction item excludes flights and transport – you will need to arrange your own flights / transportation to and from your home to Mangosteen Ayurveda & Wellness Resort, T. Rawai, Phuket, Thailand to coincide with your booking. Your stay is subject to availability, must be booked in advance and taken before 15 December 2019, excluding stays between 15 December 2018 to 10 January 2019. Please note any associated taxes / resort fees / entrance fees etc. will be collected from the winner by the relevant property at the time of booking your stay or on departure and will not be deducted from the amount bid for the item. Winners must pay for their auction item in full via PayPal within 48 hours of the auction end. The full Terms of our auctions can be found here. To the fullest extent permitted by law, Luxury Travel Diary will not be liable for any loss or damage arising out of the winners’ use or enjoyment of the prize; and the winner acknowledges that Luxury Travel Diary accepts no responsibility whether directly or indirectly for any claims whatsoever arising in respect of the prizes provided by third party providers or sponsors.